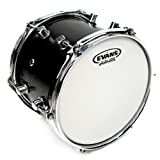 For resonating bass and toms, or a sensitive snare drum full of character, the Evans G1 Coated is an excellent choice. 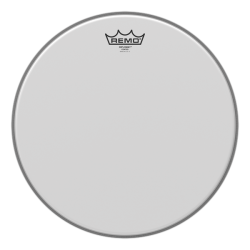 This is a very versatile drumhead that can be used across your entire drum kit. The Evans G1 Coated is built with a single ply of 10mil coated film. 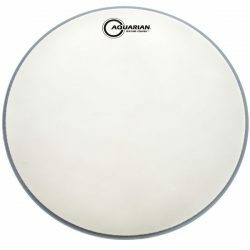 This drumhead has a full and open sound, with a lot of sustain. The coating on the G1 reduces the brightness, and dulls the attack slightly. 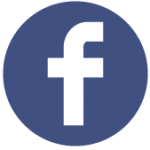 These heads will make your drums sing when tuned high, and rumble when tuned low. 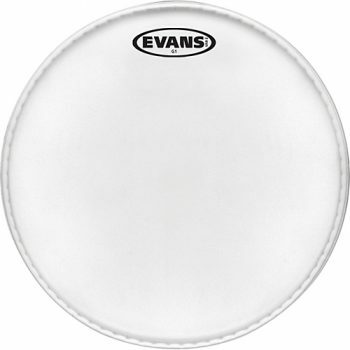 The Evans G1 Coated is slightly warmer than the G1 Clear, and is excellent with both drumsticks and brushes. These drumheads can be used on snare drums, toms, and bass drums for a balanced, open, and resonant sound. 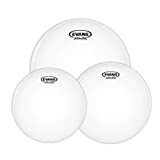 The coating adds warmth and reduces the attack, meaning that these drumheads blend well with other instruments without being too overpowering. On snare drums, the G1 Coated gives a sensitive surface for lighter playing, and opens up well to give a good sound when hit harder. The Evans G1 Coated contributes a lot of character in low and medium volume situations, and is also great for studio recording due to the warmer sound. 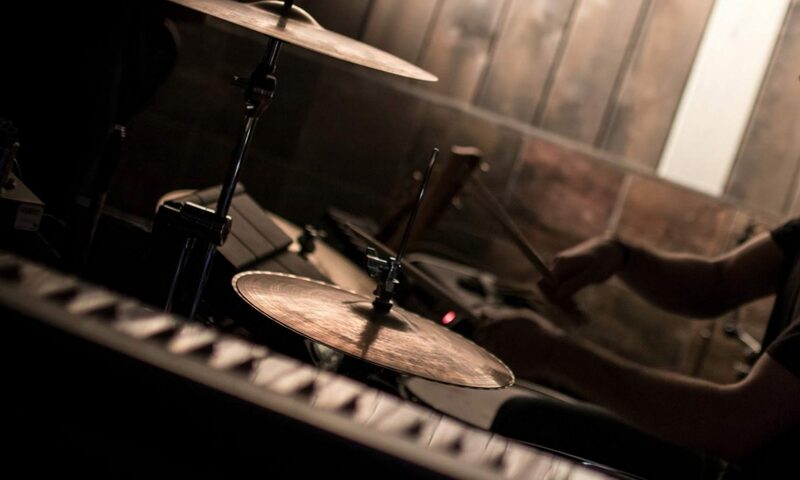 For higher volumes, you will require microphones on your drums (especially the toms and kick) to be heard clearly. 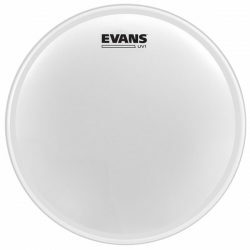 This drumhead is also very usable as a resonant tom or bass drum head; the 10mil ply of the Evans G1 provides a good amount of sustain and depth. The coating adds a boost to the midrange and lower frequencies, giving a smoother and warmer sound compared to the Evans G1 Clear. The Evans G1 Coated is a very versatile option, giving a full sound when tuned high, a deep rumble when tuned low, or a nice fat thud if tuned low and dampened. 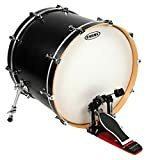 This is a great drumhead for beginners looking to experiment with a range of different sounds, and this head is also used by professional drummers worldwide.